The Honeywell Thales MCS-6000 SATCOM used by MH370 hasafrequencycorrection algorithm withthe capability to correct for the Doppler shift caused by inclination of thesatellite. This is known to the official investigation team butis not generally known by independent researchers. The value of inclination for the Inmarsat I3F1 satellite that was broadcast by the Ground Earth Station (GES) at Perth, Australia, to be used by SATCOMs logged into the satellite, was zero. The true inclination of the satellite was around 1.65⁰. The two parameters that describe the satellite inclination, the inclination angle and the time of the ascending node, are stored in the System Table of the SATCOM in non-volatile memory, and are used by the frequency compensation algorithm. If an individual obtained unauthorized access to the non-volatile memory of the SATCOM, the value of the inclination used by the frequency correction algorithm could be changed from 0 to 3.3⁰, or about twice the true inclination of the satellite. With this change, the BFO signature of a northern path that satisfied the BTO data would resemble the BFO signature of a southern path that satisfied the BTO data. The apparent turn to the south between 18:28 and 18:40 UTC that is suggested by the measured BFO data might have been caused by a change to the inclination parameters stored in the SATCOM’s System Table during that time interval. The calculated values of BFO for northern paths with the inclination parameter changed to 3.3⁰match the measured BFO values with an RMS error less than 3.8 Hz. This is true for Mach numbers between 0.65 and 0.85 at FL350, with little variationin errorseen in this speed range. At each log-on, the inclination parameters would be reset to zero. Therefore, the BFO data associated with the log-ons at 18:25 and 00:19 UTC should be evaluated with inclination parameters set to zero. The BFO data at times between these log-ons should be evaluated with the possibility that a change was made. The BFO value at 00:19 matches an aircraft along the northern part of the 7tharc on the ground and stationary once the BFO is adjusted for the log-on offset seen at 16:00 UTC. 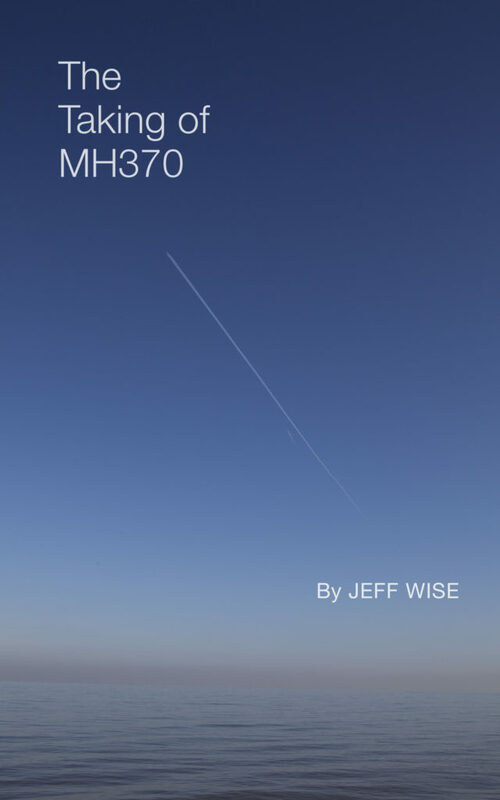 This suggests that if MH370flew north, it might havesuccessfully landed. Researchers have identified security vulnerabilities in other SATCOMs, including backdoors and access to memory, although the MCS-6000 has not been specifically studied. The possibility of “spoofing” the BFO to disguise location has been considered before. Thanks for your comments from a real pilot. However, if you read the Hudson river accident report, and also the Chen paper on water entry, you will find that most of your assumptions are not correct. As to your estimated success rate, there are probably as many opinions on that as there are readers of this forum. when judging the opinion of a group it is helpful to look at the expierience of the group. Therefore I voiced my opinion as I habe some background in flying. The hudson river landing is a good exemple to prove that aircraft can be landed in calm water and the aircraft expieriencing “severe damage” despite the fact, that the conditions for said landing were close to perfect. On a calm day, with excellent visibility and lot of references to judge height and closure rate Sullenberger and his FO worked as a perfect team and put the aircraft in calm water. The pictures on the news looked like the aircraft could fly again once dry, but look yourself. When we are talking about missing debris and use the argument that the aircraft could be landed that smooth that no debris could surface, then think about all the lighter than water material like gear doors, flaps, spoilers, engine cowlings, which detached from the A320 on the smooth hudson water landing. Here is a pic with these materials of a B777 shown. Those parts are big and would float forever. The no debris because of the smooth landing saga is failed from the beginning. Wherever MH370 came down into the water big junks of floatable lightweight material would be torn off the fuselage and the wings. The conclusion is, the search party has been unlucky and the debris drifted out of their search area, or they missed the debris, or there is no debris in the search zone because the aircraft came not down in that area. Sure Franzl, it could even have ended in catastrophy with few survivors. On the other hand, if the double engine failure had occurred at cruise altitude and the crew had had more time to read the checklist and to prepare for the ditching, the serious injuries to cabin crew and passengers and the substantial damage to the fuselage probably could have been avoided. Perhaps you should spend some time to study the accident report.